Sibling is the best gift you’re parents could ever give you. Your sister/ brother are your first best friend, confidante and partner in crime. This raksha bandhan, cherish this bond of love and friendship by gifting the latest in technology to your real soul partner. Check out the 5 Raksha Bandhan gifting ideas for your tech-savvy sister/brother. Netflix subscription is one of the desired gifts one could get in today’s time. If your sibling is a movie enthusiast and loves binge watching sitcoms, then presenting them with a monthly Netflix subscription would be perfect. The subscription plans begin from Rs 500 a month and go up to Rs 800. Make your sibling’s travel spree a little less boring with noise cancelling headphones. 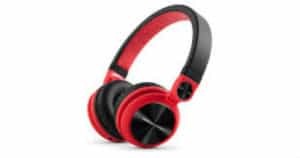 Energy Headphones DJ2 are solid and foldable with good audio quality. The ear pads with over-ear design cover your ears completely to eliminate background noise and give exceptional ease while wearing them. It is Compatible with Android, Windows and iOS devices. The headphones are reasonably priced at Rs 1,299. 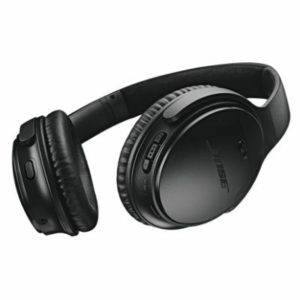 Bose Quiet Comfort 35 II could be another option for your music lover sibling. It is one of the most critically acclaimed headphones on the market. QC 35 II is equipped with active noise cancellation and inbuilt Google Assistant. It ensures nothing comes between you and your music and gives a battery life of 20 hours. The headphone is valued at Rs. 29,363. Keep your baby sister safe and secure by gifting her smart jewellery. A piece of the necklace around her neck will not only enhance her beauty but her safety too. The Smart jewellery comes installed with an SOS option that will inform you if she is in danger. Safer smart jewellery price at 1999 and Ivy smart jewellery priced at 3540 could be one of your options to choose from.